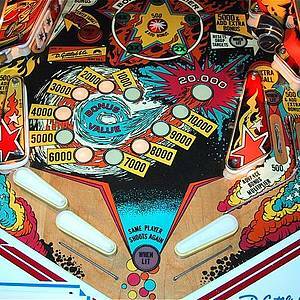 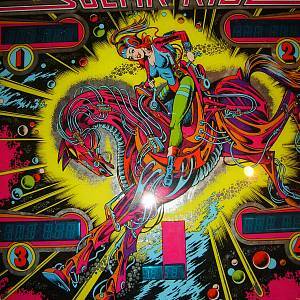 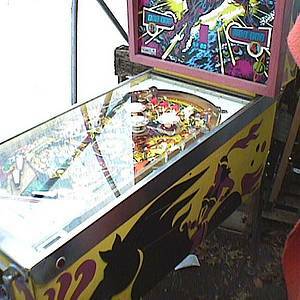 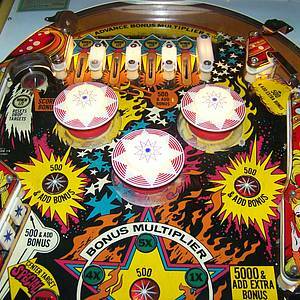 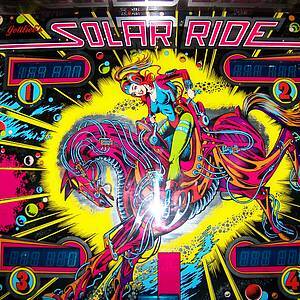 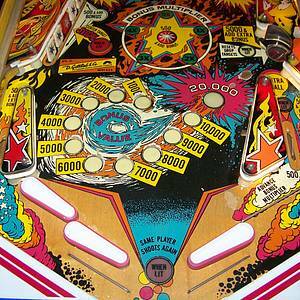 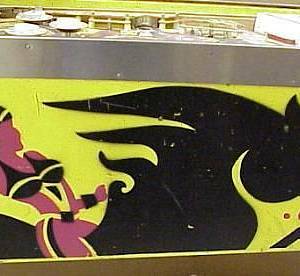 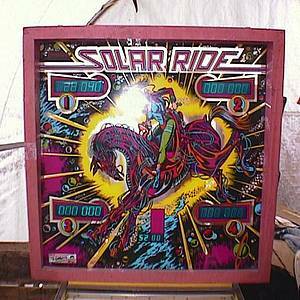 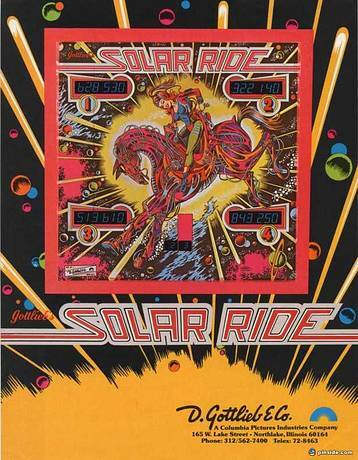 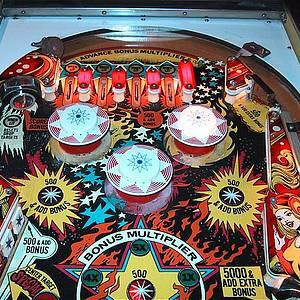 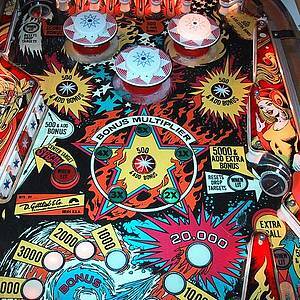 Solar Ride is a pinball machine from February 1979, manufactured by D. Gottlieb & Co. 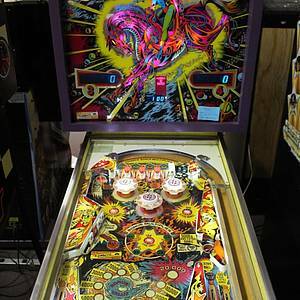 This game has received 19 approved Pinsider ratings and currently has a rating of 6.550 out of 10. 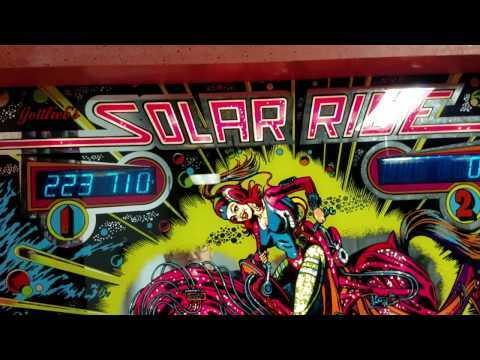 This game ranks #331 in the Pinside Pinball Top 100. 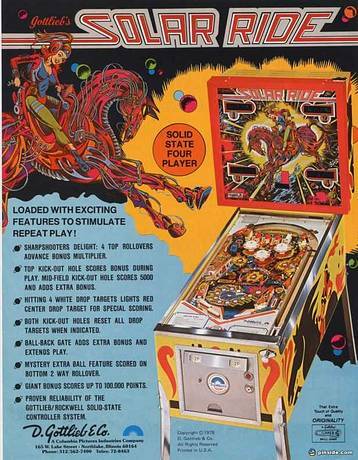 86 Pinsiders have this game in their collections. 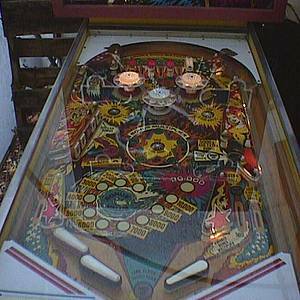 Gottlieb System One Logic Boarc PCB-clean and working!